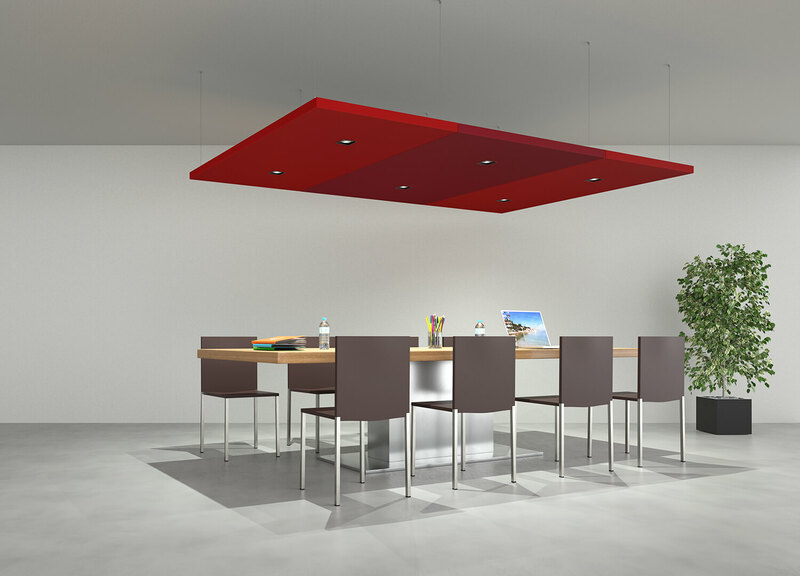 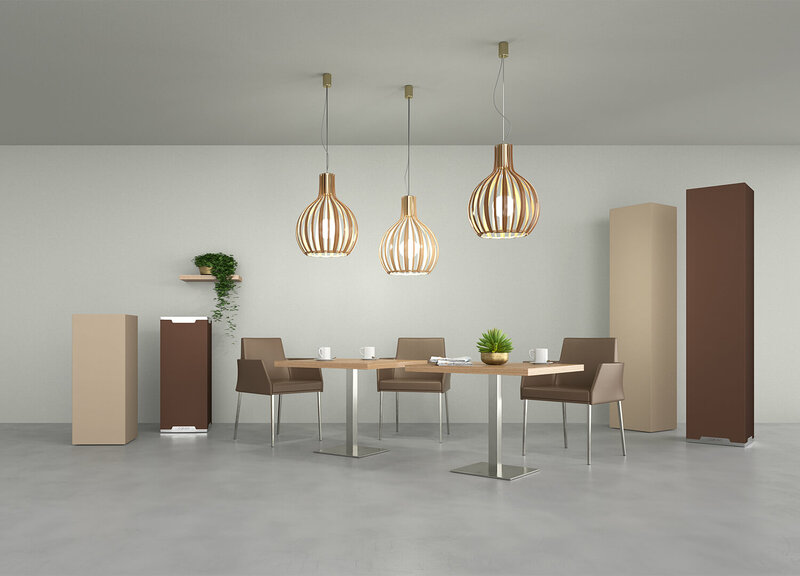 Caruso Acoustic offers a wide range of sound-absorbing ceiling panels. 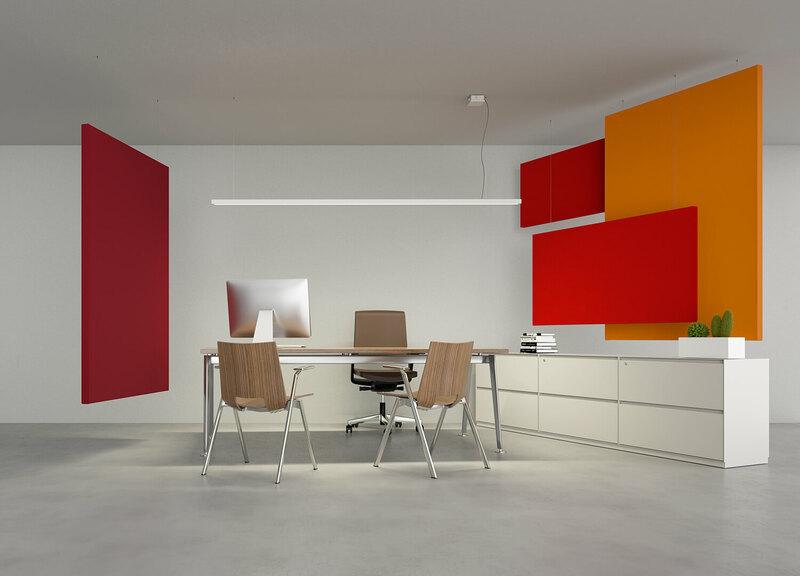 Two different fastening systems are available: fixed to the ceiling on tracks with made-to-measure sliding bars, or suspended from the ceiling with a kit composed of adjustable vertical cables. 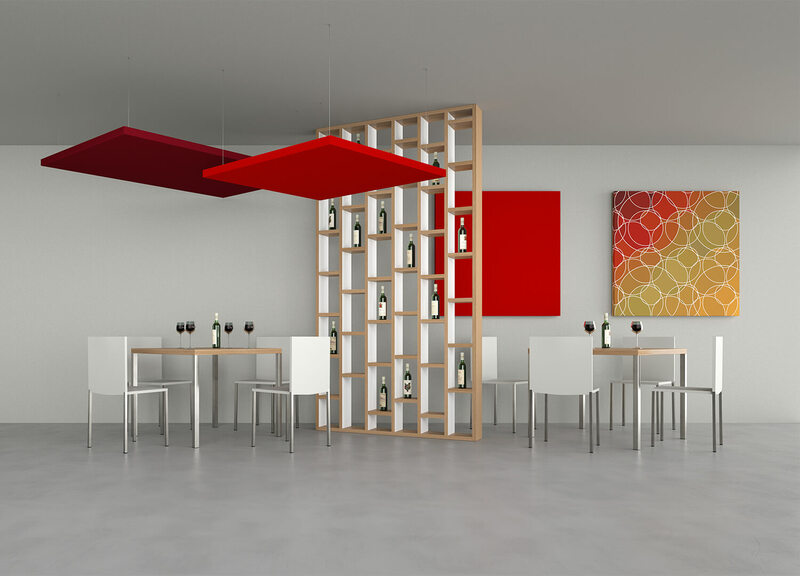 Two models of panels for wall installation: the Silente and Dot panels can be fixed to the wall on dedicated tracks with made-to-measure sliding bars. 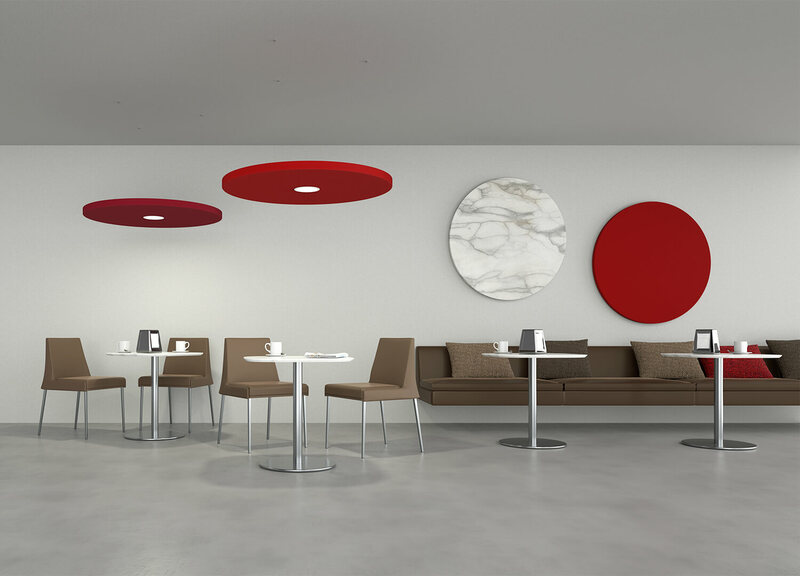 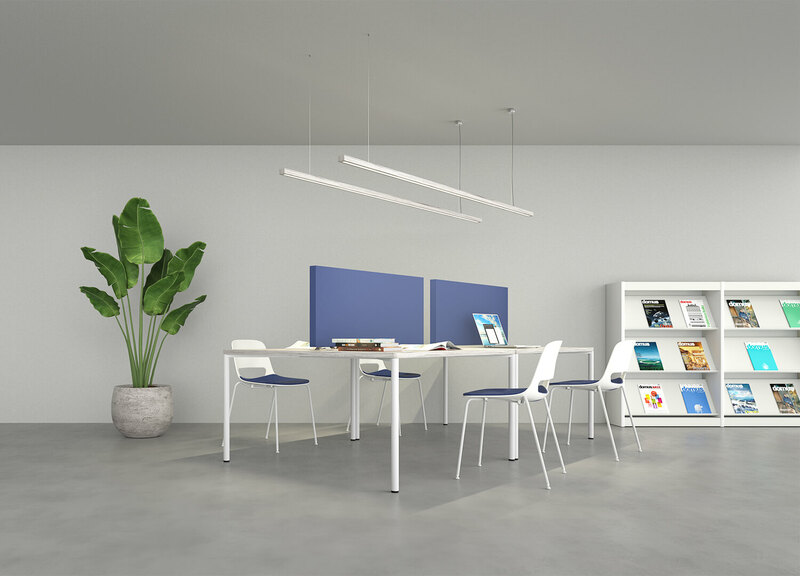 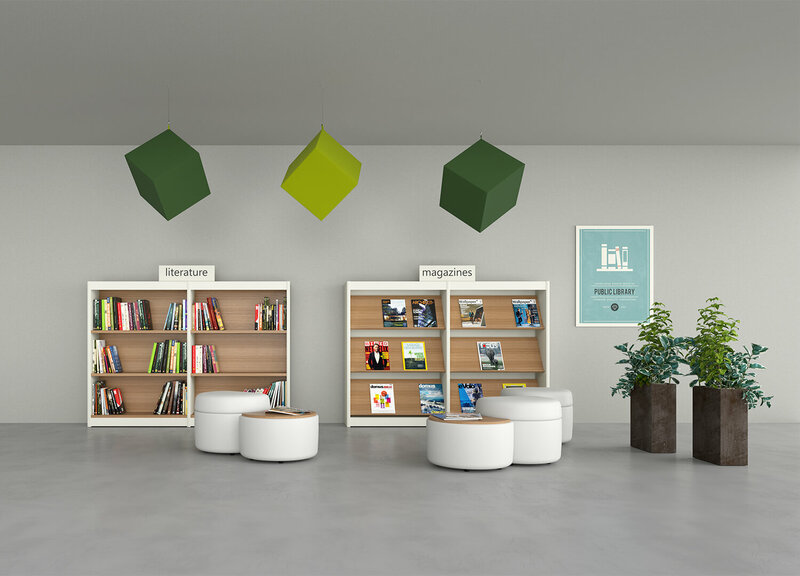 For a solution that can be placed on the floor, Caruso Acoustic has designed the D-Space free-standing sound-absorbing panel and totem Menhir. 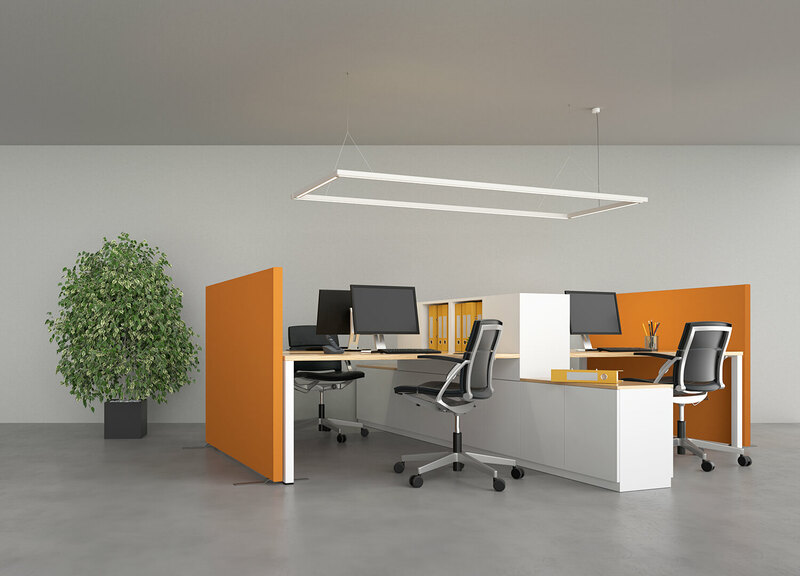 The Scriba Sound-absorbing desk panel is specifically designed for easy installation on horizontal surfaces, using the dedicated fixing system, or by simply placing it on top.